Home » Crimson Tide Productions. See how CatDV seamlessly integrates with the University of Alabama’s workflow. Crimson Tide Productions Elevates the University of Alabama’s Championship Brand with Exceptional Productions. 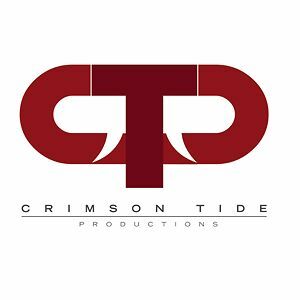 At the hub of one of the busiest and most illustrious college athletic departments in the country is the University of Alabama’s Crimson Tide Productions (CTP). Home to BCS championship Crimson Tide football team, CTP is responsible for producing the live video production and highlight videos for 15 different athletic programs including football, basketball, gymnastic, tennis, golf, volleyball, soccer, swimming, diving and more. CTP plays a crucial role in preserving and promoting the Crimson Tide brand. In addition to video content, CTP is tasked with creation of the athletic department’s graphical elements, web content for its website, RollTide.com and live streaming for their subscription web service, TideTV. 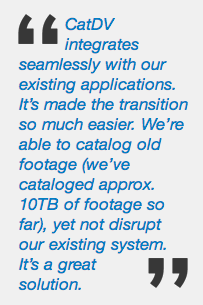 When CTP was looking to simplify their archiving system to manage an ever-growing high volume of footage, CatDV media asset management tool delivered the solution they needed. 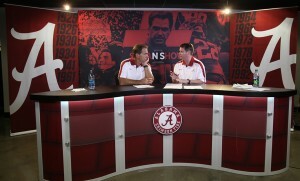 CatDV was built into CTP’s production infrastructure with the “The Nick Saban Show” in mind. The 30-minute highlight show with championship Alabama football coach Nick Saban, is ready to air live on TideTV the day after each game. The game footage is cut that night, closed captions are done in the morning and its off to air. The short turnaround time and need for a quick process on ingest required a custom asset management application able to handle the high demands of this highly popular show. CTP’s production studio is an all digital workflow, no tape. They made the transition from tape to digital approximately two years ago. 25 workstations are connected to a SAN server hosting over 100 TB of storage. Bringing CatDV into their pipeline was essential. CatDV provides for a searchable archive of previously used clips; converting CTP’s vast library of existing assets into an efficient database ready to handle the demands of Alabama’s hectic athletic department schedule. CTP’s production team is made up of eight full-time staff members and 30-50 student interns throughout the year assisting in post-production as well as live shoots. Currently, CTP’s studio uses only two workstations for ingest. As more and more files are added to the systems, maintaining consistent workflow practices among multiple team members is a challenge. CatDV allows files to be retrieved quickly, creating a gateway for everyone to access the footage. Additionally, CatDV provides a quick and easy archiving method freeing up storage for their new projects. Another significant benefit of CatDV for CTP has been the ability to set permissions. This enables CTP to control access to sensitive footage using CatDV to customize to their specific security requirements. An integral part of the transition process was the customization and installation support, implemented by JB&A, CatDV master distributor for North America. JB&A’s team evaluated CTP’s current and future workflow needs, then designed a training program to help the CTP team learn how to customize CatDV, not only for the initial install, but for future needs as the production workflow and volume of content continues to grow. For more information, visit the Crimson Tide Productions and the University of Alabama websites.